I’m really working on making more diverse recipes in terms of type of cuisine (ie by region.) It doesn’t come easily to me, since Italian-American cooking is my comfort blanket. 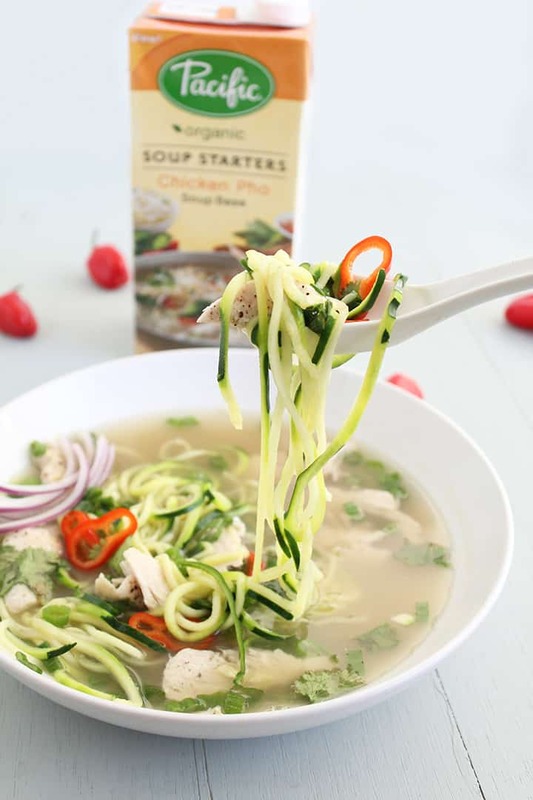 When Pacific Foods sent me three of their Soup Starters, my eyes lit up when I saw “Chicken Pho.” What an easy way to make a spiralized Vietnamese dish! Pho = ‘fuh‘ phonetically, by the way. 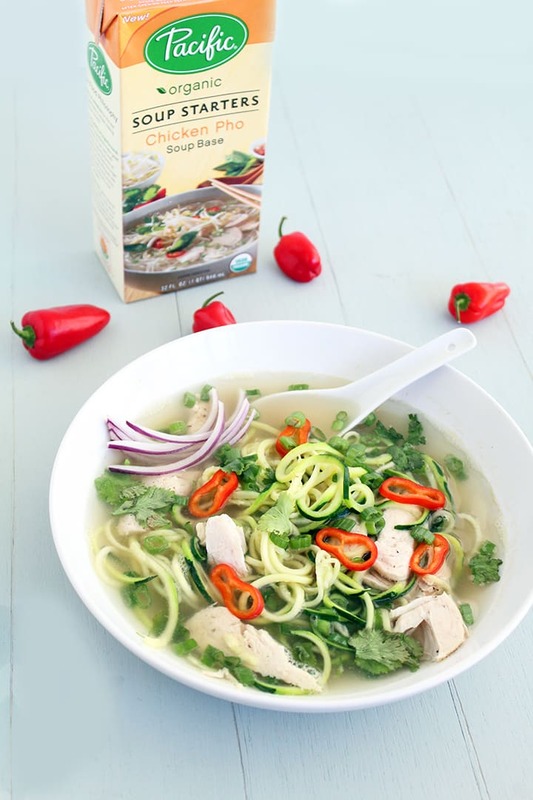 Pacific Foods creates their Soup Starters to save people time and money by offering the broth for a tasty soup, already infused with the necessary flavors. Saving time and planning, especially during the holidays, is a win! Have ingredients here and there but don’t know what to make? 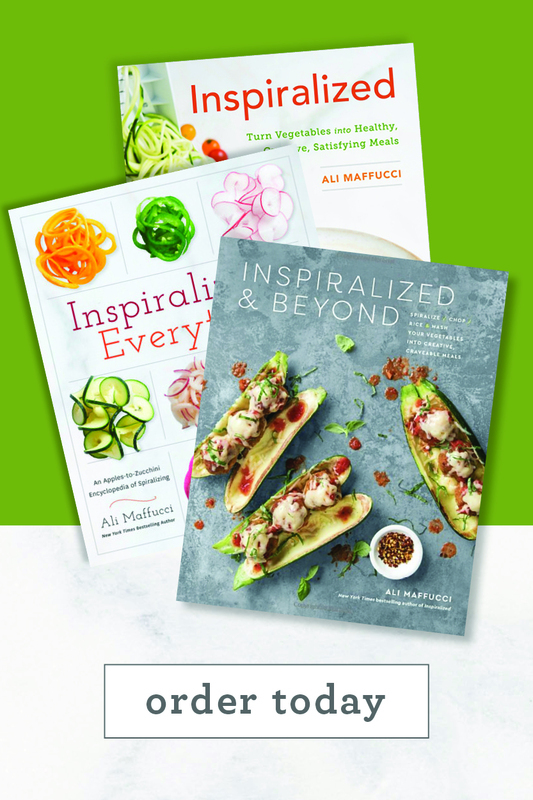 Let the inspiration flow with Pacific soup starters. Our bold soup bases capture all the depth and complexity of your favorite Vietnamese, Thai and Mexican classics. Just add a pinch of this and a little bit of that. They were right. This soup took NO time at all to make and the best part? 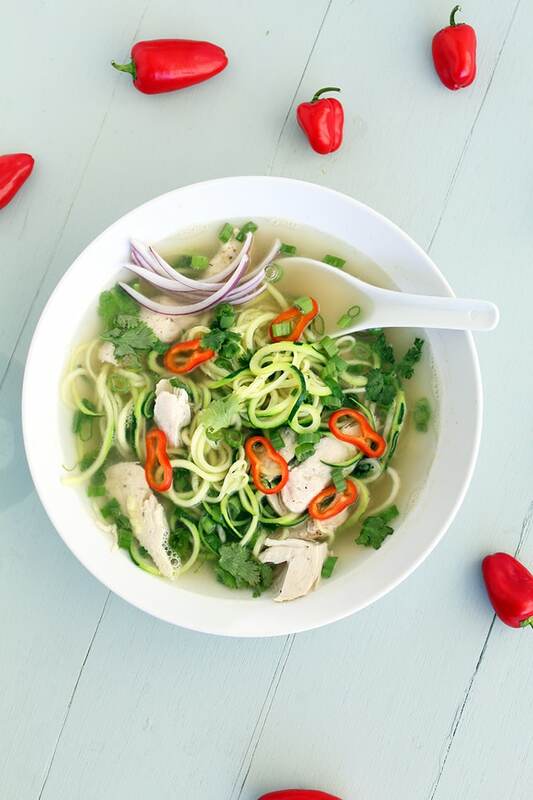 This Chicken Pho base is gluten-free, dairy-free, corn-free, soy-free, wheat-free, yeast-free…. and organic! The ingredients? Organic Chicken Broth (Water, Organic Chicken, Organic Spices, Organic Garlic Powder, Organic Onion Powder), Organic Cane Sugar, Sea Salt, Organic Lemon Juice, Organic Spice Extracts, Organic Lime Oil and Organic Rosemary Extract. Making this soup was sinfully easy. I brought the soup base to a boil, added in some scallions, cilantro, pepper, chicken, and zucchini noodles. I let the noodles soften (took about 2 minutes) and then I slurped it up! This soup is light, refreshing and filling. I combatted the limey-ness of the Soup Starter base with some water to create the perfect pho flavoring. It’s low-cal, low-carb and low-fat. I can’t wait to experiment with their other Soup Starters! Do you have any other time saving tricks when cooking? On a baking tray, place in your chicken breast. Season with ground coriander, salt and pepper. Bake for 20 minutes or until juices run clear and meat is no longer pink. Pull into strips and set aside. 10 minutes into baking the chicken, place a large saucepan over high heat and bring the Soup Starter broth and water to a boil. Once boiled, lower to a simmer, add in the pepper, cilantro, scallions, zucchini noodles and season with salt and pepper. Cook for 2-3 minutes or until noodles soften. Stir in the chicken, pour into bowls and garnish each with red onion slices. Enjoy! Sounds delicious, Ali! 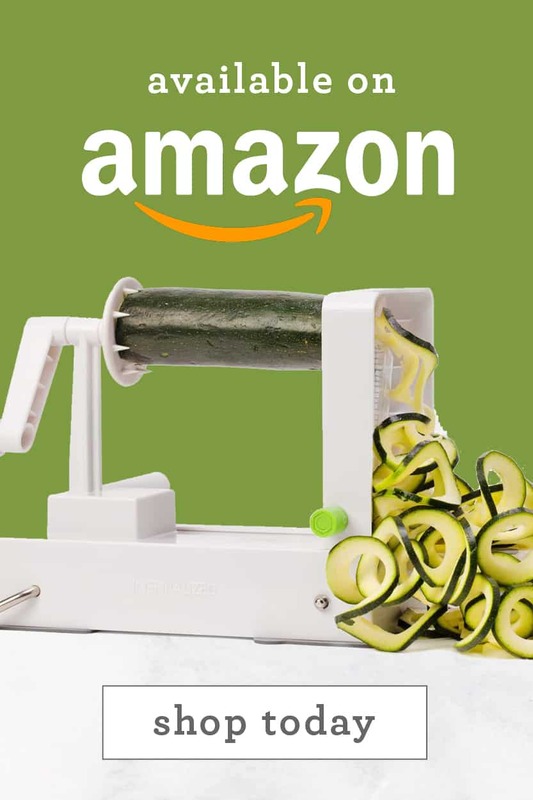 Note: Your ingredients list omits the zucchini. Oops! I wanted to print the recipe to a PDF file, so I could save it on my iPad, but the "Print" button isn't responding. Guess I'll try copying and pasting. I may try this with some Better Than Buoillon chicken base. I know it won't have the same flavor as the soup starter, but I keep BTB on hand, now that I've started making soup in the crockpot on the weekends. Susan - sorry to hear you're having difficulties! The recipe is adjusted. 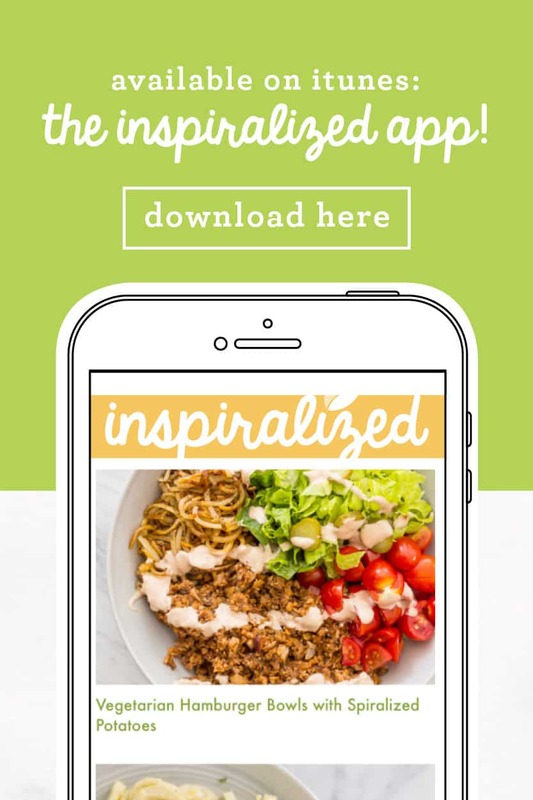 if you have an iPhone, you can mark it as a favorite in my new iOS application, available in the iTunes store: https://itunes.apple.com/us/app/inspiralized/id741826886?mt=8. Hope that helps! The recipes seems to have been removed? 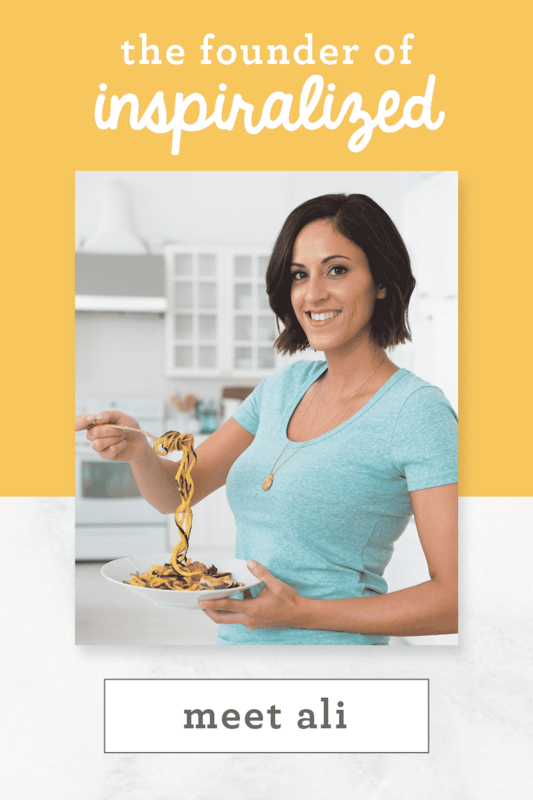 You are my noodle queen, I'm always amazed by your recipes girl! This soup makes adding a few ethnic flavors to your meal SO easy!! Awesome. And total comfort food. Love how clean this soup looks and sounds! This looks so good I think I'll make it for lunch today. I have a cooked chicken breast in the fridge to use up. Mmmm. Can't wait to try this! Thanks for the sweet comment - glad you like the recipe! I DID make this for lunch, but added some garlic, ginger and a splash of fish sauce. I also used a regular bell pepper with a little sriracha sauce for "heat". Man, was it ever good! Thanks for the inspiration to try a dish I've always wanted to try. Buttoni - so glad you liked it! 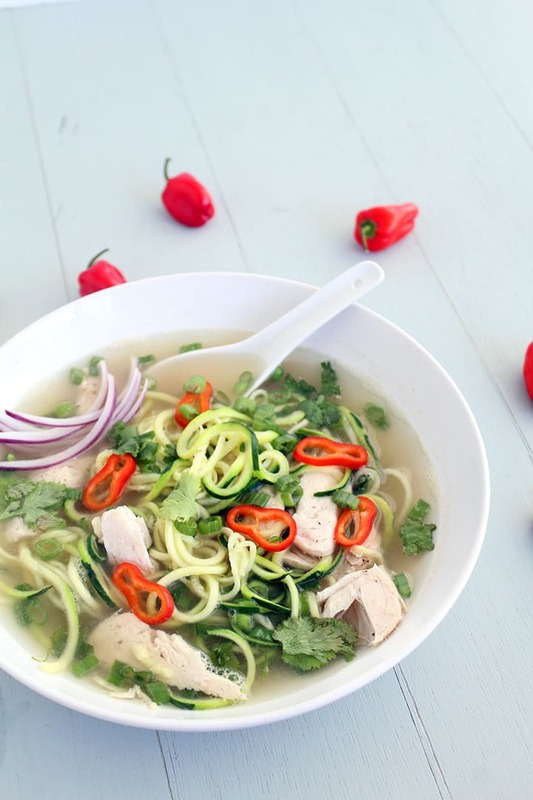 This recipe looks delicious, but the Pho base isn't sold in Australia! I will use regular chicken stock, but what else would you suggest adding? Natalie - sorry to hear that! You should add lime juice, garlic powder, salt and onion powder! That should help. 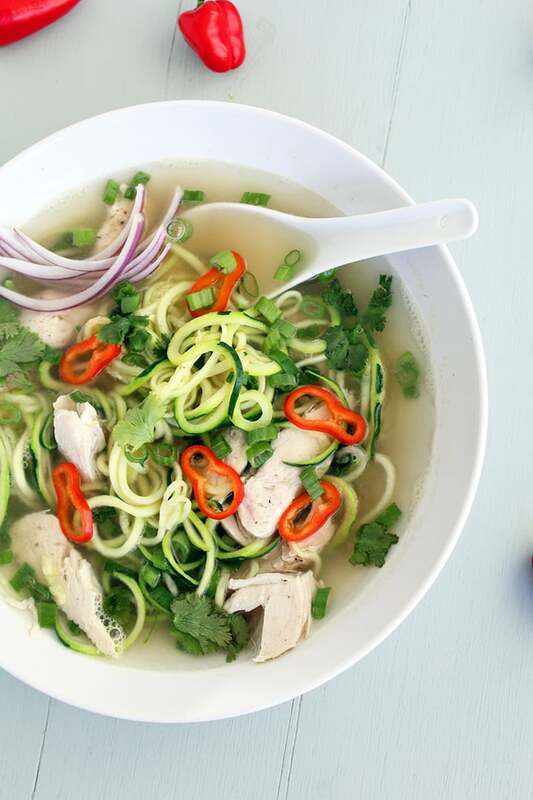 To make it truly like a real pho, if you begin with chicken stock, try adding star anise, fennel, coriander, cinnamon, sugar and salt. I only saw this link? 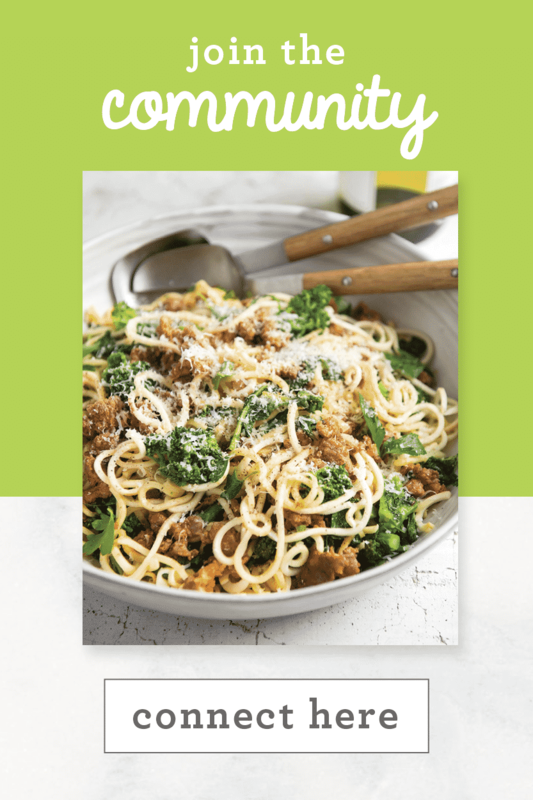 [yumprint-recipe id='108' could you please have the save recipe, I've been saving recipes and making grocery lists from your site, which is AWESOME by the way. The recipe has disappeared! Help!! I can't find the actual recipe anywhere... On the website or this app. I even have the e book and it's not there. Please help! 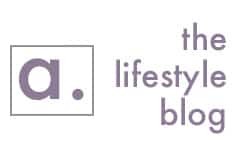 I am so happy she told you about my blog! Welcome! ! Do you have quantities, etc.? I'm not seeing the actual recipe here. :-( This looks so delicious, I want to try it soon! This sounds so delicious! Is there no way to get the recipe other than buying the app? Is this something you can make ahead of time or will the zucchini become mushy? 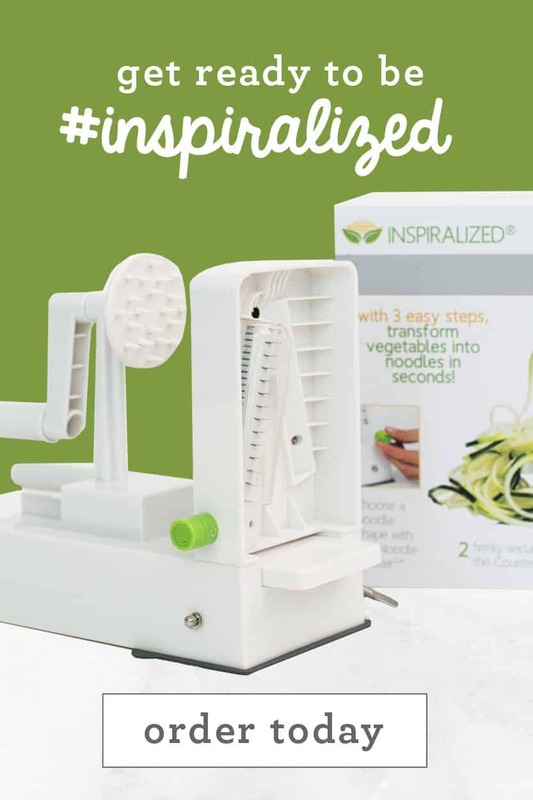 How did you come up with the design and idea for your own spiralizer? I'm inspired by your enthusiasm and creativity! I can't find the Pacific Pho Soup Starters anywhere.. where did you find them? Is there an ingredient list and cooking directions somewhere other than this page? This looks delicious!! I agree, it does look great, but the recipe is gone. Where did it go? The soup looks delicious, but like others, I can't find the recipe. Hello, If I make a big batch and freeze portions of this soup, will the zucchini turn mushy? 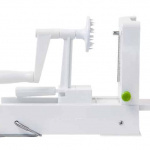 We do not recommend freezing Zucchini!